Renowned worship leader and pastor Lincoln Brewster, known for church and radio favourites like “There Is Power,” “No One Like Our God,” “Let The Praises Ring,” “Everlasting God,” “Love The Lord,” “God You Reign” and “Today Is The Day,” delivers his first new album in four years with God of the Impossible. 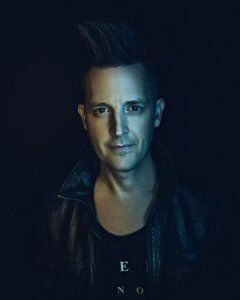 Lincoln Brewster is the Senior Pastor at Bayside Church near Sacramento, California, but is also a seriously good musician and worship leader. Discovered by Randy Jackson and heading out on tour Lincoln decided that wasn't the life for him. Instead working for a local church, that choice has brought his life full circle as a worship leader who has played worldwide and filled many huge venues but to lead people in worship of God rather than to just entertain. Even if you don't know Lincoln's name you have probably sung some of his songs in worship such as "Everlasting God" or "God, You Reign". Now Lincoln is back with a new album of worship songs called "God of the Impossible". 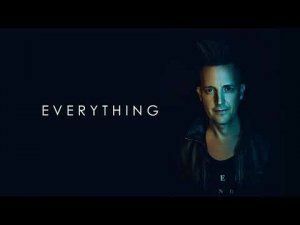 From the very first song of the album you remember why people listen to Lincoln Brewster playing the original versions of his songs, it's simply the excellent electric guitar which no-one else can quite capture on their own versions of the songs. Giving the guitar an opportunity to have it's own space in some of the songs is like an extra expression of Lincoln's own worship as he brings the track to life. This is seen again and again through the album and it's something that is a distinct talent like that of an older generation of worship writers like Phil Keaggy. I know You are making all things right"
"While I Wait" takes this to the next level as it brings a more vulnerable vocal with a swelling string section backing the chorus where Lincoln reminds himself, and us, that we live by faith and not by sight. We know that God is working in our situation, and we wait and we worship God for who He is, not looking at our situation but looking to Him alone. I am sure many of us need this kind of song to help us focus on God, because in those moments this is easier said than done! As the track heads through it builds up and we have more of the singing guitar that works well here, even though everything says that it shouldn't. The more upbeat sound of the first few songs resumes with "Loyal" which is another song about God's faithfulness, re-emphasising that we can rely on Him in every aspect of our lives. "Amazing God" is one of those 100% worship songs that simply sing about how wonderful God is, it's not about our reaction or commitment, or even about what God has done for us, it's just pure praise of who God is. The response to God's awesomeness comes in the next song, "Here I Am" which is a song of heart surrender. This song makes the case against those who see our outward actions as what God desires, that actually God doesn't want perfect people, with perfect prayers, giving offerings out of duty, instead he wants our imperfect hearts and heartfelt real prayers and real lives. "Everything" looks at the frailty of us as human beings, and how God holds us and that we believe in God's love and care for us, that all we need is in Him. "Prodigals and runaways, rescued by saving grace" is how Lincoln terms us in the opening lines of "Higher" but we've found hope and freedom in God's love and so we will praise Him for that. The title track "God of the Impossible" starts with a slow build sound which comes into it's own as the song progresses. As you can imagine this is another faith-building track in the power of God in and more importantly, over, our circumstances. This is one of the songs where the electric guitar is allowed to come out to play, not in the way of the 80's rockers who would really shred it, but in a more toned down and delicate voice which sings by itself where there are no words. 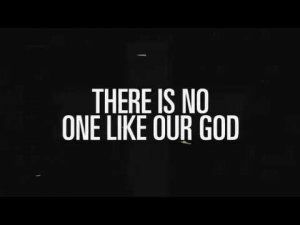 "No One Like Our God" is the song that is the one that has already become popular in many churches, it certainly sounds brilliant on this album - again with an amazing guitar solo in the middle of the track. As with many albums from the bigger labels this one is released in a normal format and a deluxe edition which features additional tracks. The deluxe edition here features acoustic versions of "Deep Down (Walk Through Fire)", "Loyal" and "While I Wait" and then the album finishes with some electric guitar instrumental which is called "Relativity" and as someone who was brought up listening to The Shadows in the car because my Dad enjoyed it I can really appreciate this track! 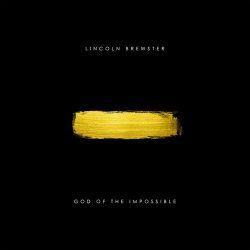 This is a really strong release from Lincoln Brewster. I haven't always been a big fan of his worship music, but this album started off well from the first listen and has definitely grown on me even more since then. Many of the topics are the same through the song, but they come at it from different angles - and can we ever say too much about how faithful God is, how reliable and trustworthy and how steady His love? No, of course we can't! So this is a great solid album and it really stands out against other solo artists in the same ministry arena.